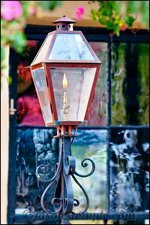 Submit Your Charleston Lodging and Get Free Traffic to Your Business! Get Started Now and Submit Your Charleston Lodging. 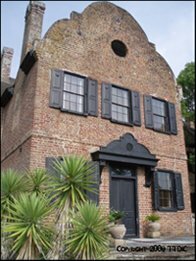 Tourists come to Charleston... and tourists need a place to stay. Charleston is beaming with accommodation options. No wonder visitors get overwhelmed searching for the perfect place to lay their head. That’s why www.Things-To-Do-In-Charleston.com (TTDIC) offers local accommodations the opportunity to create a free web page on this site. It’s easy to do in a few simple steps. All we ask for in return is the understanding that we may contact you in the future regarding special offers and promotions, with no obligation. WHY Create a Web Page with TTDIC? It’s FREE! It’s a promotion of your business through a high-quality web page. It’s EASY! Insert a title, add content, upload photos…DONE! No registration required. Your new page will link back to your business website with pre-qualified traffic and leads. The appropriate category page on the TTDIC website will link directly to your newly created page (if not already occupied by our partner link at HotelsCombined.com). You have the option to be notified when comments and reviews are posted to your business page. Your page will be submitted to all major search engines. Inclusion of your page on TTDIC’s RSS feed communicated throughout the web. A link to your page will be included on Facebook and Twitter. Added publicity opportunities for your business when sponsoring a site promotion. … more traffic to TTDIC is more pre-qualified traffic to you… FREE! Thanks in advance for your contribution to help our visitors make educated decisions while planning their Charleston outing. First check our Hotels & Lodging pages to see if your business is already listed though our partner, HotelsCombined. If so, you may still create a Web page here to share and get feedback from your guests, but there will not be a link from our Hotels & Lodging pages since it is already occupied by our partner link. All content must be family friendly. Mature adult language and content will be deleted. All content is your own and must be original, non-plagiarized material. 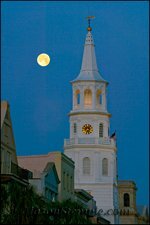 Content must be of interest to the tourism community of Charleston. Include a link to your website (cannot use HTML) so TTDIC can link back to you from your page. Create high-quality content in case this is the first time a visitor finds you. Visitors will be allowed to give comments and/or reviews. Uploading photos increase the value of your submission. Advertisements are not allowed. Material submitted that resembles an ad will be deleted. Your page should be an informational page about who you are. No sales pitches. TTDIC reserves the right to make edits to a submission for the best interests of its visitors and to refuse any submissions that do not follow these guidelines. 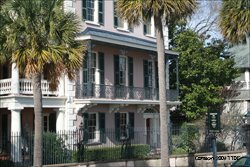 Submit Your Charleston Lodging here if we do not already have it listed through HotelsCombined.com! *Only one submission will be allowed for Beach/Vacation Rental Companies. Your page can give information about your company with a link to your site. Do not list specific rental properties on this site unless you are a single owner without representation. Tell us who you are and spend time telling visitors what makes you different from other lodging, without the sales pitch. If applicable, be sure to include your address in the Author's Location section. To add quality to your page, upload up to 4 images. Maximum image size is 800x600 pixels. If you do not have a photo-editor, go to Picnik.com for free photo help.